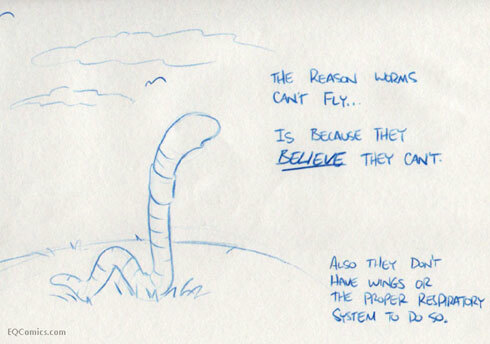 The reason worms can’t fly is because they believe they can’t. That, and they don’t have wings or the proper respiratory system to do so. If you’re a Simpsons fan, hopefully you can laugh at this for 5 minutes straight like I did.